On Monday, the Dow Jones Industrial Average climbed off the canvas again but ran out of steam in the final moments of trading. Still, it was a sluggish session that never got on track. The good news is the market isn’t collapsing, as the Dow Jones Industrial Average found a way to rebound from back-to-back sessions of 200-point + intraday losses. 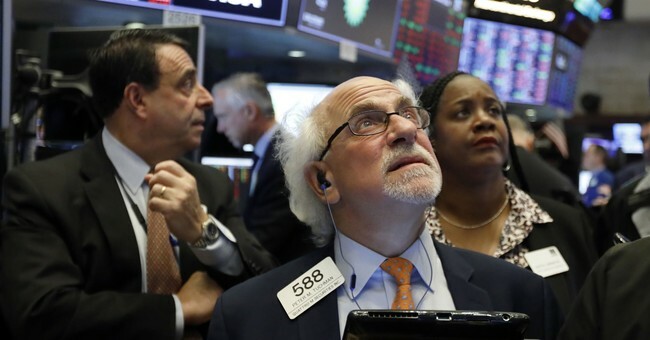 The bad news is that despite the rebound, the stock market hasn’t cleared any of the technical hurdles to signal the coast is clear, and to lure in some of those trillions of dollars eager to get back into the stock market. You don’t have to be a technician to see the issues with the Dow, which continues to make lower highs and needs to get back above 24,400. The V-shape rebound has been impressive as well as the resolve seen each session (even down days) since Christmas Eve. Today, JPMorgan Chase & Co. (JPM) will set the tone, and not just for financials. Unlike Citigroup (C), a beat by JPM could have coattails beyond the financial sector. Hold your cash closely. Let’s see how the market breaks out as this is the proverbial calm before some major move. I think it will be to the upside, but it needs a fundamental and technical (see comments above) impetus. Equity futures were higher on scuttlebutt about a possible economic stimulus in China, but equities have stumbled on high profile earnings misses. I’m actually surprised the downturn isn’t more severe. JPM missed on earnings as its fixed income desk was way off the mark. Wells Fargo (WFM) issued a lot of loans during the quarter, and its shares are unchanged heading into the open. Delta (DAL) beat on earnings, but its guidance was cautious. Of course Jamie Dimon (JPM) wasted no time deflecting from the subpar results by suggesting the current government shutdown would result in zero growth in the first quarter. I was hoping he would focus on an earnings statement that American consumers are investing, spending and saving. There is no doubt the shutdown isn’t going to help the economy; although, most of the losses would be made up later as paychecks are paid retroactively. We also have the Brexit vote today, which could have an impact on our market later in the session.